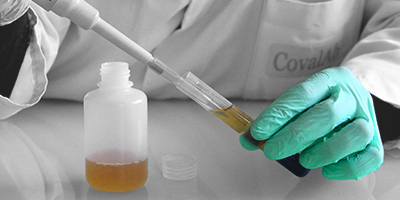 Our standard protocols have been extensively carried out for 20 years and are optimised according to the host species in order to ensure the good quality of the immune response. Nevertheless, specific and customised protocols can be carried out if required. Please note that new protocols are first submitted to an ethical committee for agreement. These protocols are performed within our own animal house. At the beginning of the project, we provide you with a provisional calendar, reminding you the main steps of the protocol: injections, bleeds and deliveries. Before starting the immunisation protocol, we offer you the opportunity to test the pre-immune serum of a selection of animals to choose the most suitable host(s). You receive the test bleeds of twice as much animals as scheduled for the immunisation. Please mention before the beginning of the project if you are interested in this service.